They have a proven track record of working in a similar environment. They are more likely to be up-to-date with industry developments and have an overall better feel for the role. They are an asset to their current employer, so they should be an asset to you. Because they are already employed, they are more likely to be honest in their self-promotion. They don’t need a new job and so have less to gain by embellishing their experience or skills. An active candidate is likely to have applied for a large number of roles, some of which may only be loosely related to their field. An open candidate, however, is more selective and will only be interested in roles they feel are a better fit than their current one. They are not looking for a job, they’re looking for the job. How do you target this elusive cohort of happily employed star performers? Actually, it’s easier than you think. The reality is that people don’t have the same loyalty to companies anymore and are nearly always ‘open’ to opportunities. Employees see themselves as the commodity and the brand they’re interested in building is their own. The average job-cycle of a millennial is 2-3 years, after which they leave for greener pastures. 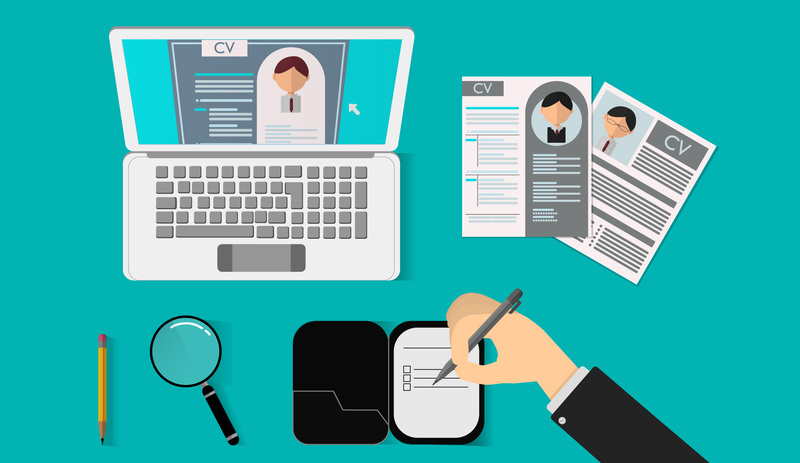 Building relationships with open talent should start long before you have a job vacancy. Attracting candidates is about anticipating future needs, not reacting to current ones. Leverage events being run in your community – avail of speaking opportunities and attend networking events whenever possible. Share content in the form of blogs, videos, and photos and master social media platforms to engage your audience and tell your story. Make sure that all the content you publish showcases who you are as a brand. Keeping track of who engages with it, it will help in identifying the most relevant open talent for your company. If you are interested in someone professionally, don’t be afraid to reach out to them and ask them to meet or connect online. It’s hugely flattering to have someone be interested in your expertise and what you do – most people will be responsive when you ask them. Once contact has been made, keep it as real as possible. Tell them about the cool stuff you’re working on but be open about the challenges also. Solving problems and innovating are the two factors most likely to stir an interest, so don’t hold back when explaining your companies pain points. A smart person will see the opportunity to be able to fix them. Be straightforward about what you want from them. The ambiguity surrounding job titles, job specs, and salaries will only discourage candidates from applying for your role. Privacy is key. Passive candidates don’t want their current employers to know they’re open to a potential move so keep your relationship confidential by offering late evening interviews and accepting older employment references. You need to ensure that you’re easily accessible. Over 90% of candidates won’t complete an application if the process is not mobile optimized or takes more than 2 steps. Our research shows that career sites and apps like Jobbio are the most used medium when searching for new opportunities. Ensure yours has a responsive design to work with a range of devices and has advanced search capabilities. Now that you’ve got their attention, what can you do to seal the deal? Our research shows that there are three things that help propel an open candidate to make the move. Surprisingly, it’s not all about the money. Most people are looking to climb the career ladder and will be drawn towards opportunities that offer a sense of promotion – and by this I mean figuratively, not financially. A bump in salary may ignite interest, but people who are good at what they do are usually well paid. Offering people a seat at the leadership table will prove an excellent bargaining chip. Enabling them to oversee operations in their specialist area, to manage a team of people (however small) and to feel they’re really adding value as an expert in their field is one of the most powerful draws that can set you apart from the rest. Open talent can often be wooed by the opportunity to further their education or develop their skillset. The option to progress and grow within their role might be just what they are looking for in a new position. As technology continues to evolve, employees are moving away from the 9-5 desk mindset and want the option to dictate their own hours and work remotely. Surveys show that 40% of people say flexibility around working hours would convince them to stay in their jobs. With younger generations, this is even more prevalent. We can already see Gen Z, the generation following Millennials, look to pursue a number of projects and roles at the same time. As such we’ll see a rise in a more task-oriented working day rather than hours. Getting ahead of the curve and transforming how people work will draw the most innovative and open talent.